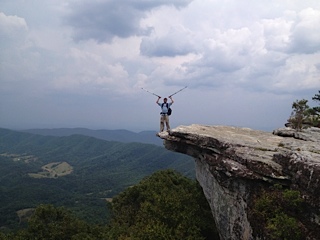 After a job layoff, my next guest avoided the temptation to rush back to work and used the opportunity to thru-hike the Appalachian trail, south to north, over 24 weeks from May to October of 2012. He managed to survive encounters with ticks, mice, snakes, feral ponies, and a storm that could have killed him. Aaron Hushagen, or Hoosh as he was known on the trail, welcome to The Pursuit Zone.